The modern idea of healing is to cure a disease or injury when it occurs. 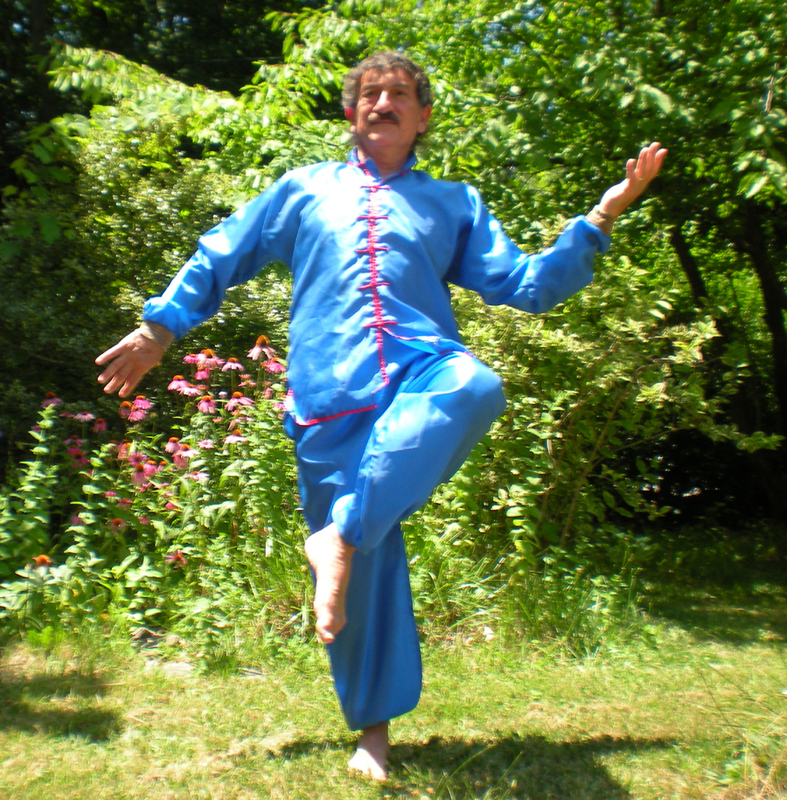 Tai-chi represents an older, more traditional approach to healing and that is to keep the body healthy so that it can resist disease and injury. The idea that your body must deteriorate as you age is a modern idea. 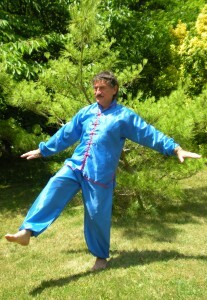 Those who practice Tai-chi know that you continue to strengthen as you have more years to practice Tai-chi. 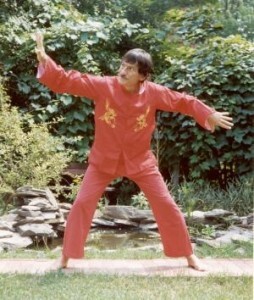 It is common to see people practicing extreme Tai-chi forms well into their ‘90s. If you read this blog you know that Tai-chi training consists of a variety of exercises (forms, chi-gung and push hands) and healing practices (massage, herbal medicine and acupuncture). There are simple principles to all of these practices and they are expressed in the teaching of “the elements”. This set of principles is common throughout the world. A version of “the elements” can be found in Native American, ancient European and other cultures. There is great variety in how the elements are explained but in the following description I hope to specifically convey the principles of healing. Earth is the physical world. It represents how we need to make sense of the world around us by trying to create a coherent story of who we are and what is going on around us. Our society provides this story to us. Within that story we can find ideas that limit us and ideas that free us. The social movements throughout human history are an effort to change the story of the society about who we are and where we came from. They attempt to fashion a story that frees our creativity and allows us to fulfill our potential as human beings. Earth also represents simplicity. We are encumbered by fears, patterns of habits and tensions, regrets as well as by “stuff” (junk that we buy and don’t need). By simplifying our lives we can remove the ball and chains we are dragging behind us. We can also learn to let go of negative people who are pulling us down and have no intention of really helping themselves to heal. Earth is also the food that we put inside of our bodies. That food is sacred. When we shovel pre-made, chemically infused who-knows-what into our bodies, we not only injure our health but break the bond between us and the earth. Simply growing some food that you eat repairs that bond. Eating organically, healthy food helps to repair your body. Earth is the center as our bodies are the center of our consciousness. We could go on much further about earth, but let us continue to metal. Metal is transformation. It is creativity, the ability to allow yourself to change and to see things differently. We take base ore and melt it in heat to extract the metal. In the same way, you (base ore) go through the fire of life and of your training to become the shining pure gold that you are capable of becoming. And then this metal is turned into useful implements, swords for example. Do you just live your life to take up space or is your life being used to help the world around you? To help heal our world, you must first become transformed in the smelting process and then become fashioned into a healer of some sort. Simply by having been healed, your presence, by example, can help to heal those around you. Metal is also the element of “animal consciousness”, or the natural “body-mind”. This mind is contrasted to the “clever mind” of modern times. Not that there’s anything wrong with the clever mind – it has produced technology. But the natural mind is the common sense and sensitivity to the natural world that lies at the base of our consciousness. It becomes aware of imbalances in our lives and pushes our behavior to correct those imbalances. In contrast, the “modern mind” seeks the extremes. When you wake up in the forest and breathe in the beautiful scents, your natural awareness is awakened. Metal is associated with the lungs in Chinese medicine. Wood is the element of life itself. It is the way nature unfolds and provides energy to all its creatures to promote the consciousness of metal. It is wood that provides the fuel to transform the metal ore.
Wood is the tree whose branches and leaves reach towards the sun to absorb energy and whose roots reach deep into the soil to absorb water and nutrients. It is an example of the balance of “heaven and earth”. If you are not rooted well, the events of your life will throw you over easily. To be rooted in an understanding of your personal history and the history of humankind is essential to really know who you are. To be rooted in a love of the natural world and therefore a love of your own health will strengthen your body and soul. To be rooted in your family and community will balance and empower you. “Heaven” does not refer to the mythological place we go to when we die (if we are good). It refers to yielding to the forces of nature around you so that your life can be lived in harmony with the promotion of the living world. It means accepting that you can become greater than you are now and yielding to teachings of all kinds so you can continue to grow (towards sources of “light” which means knowledge). Wood allows you to become transformed for the better (as it is burned to transform metal ore) while remaining rooted in the real world (earth) so you don’t become an air-head. A tree provides a home for birds, monkeys, insects and others. It provides food for everyone. It provides the raw material for homes and furniture. It holds the soil to prevent erosion. Wood takes care of the basic needs of life to make our lives easier. Is your life like a tree? Fire is the energy of enthusiasm. When you let go of the encumbrances of life, the bitterness, resentments, self-righteousness and anger and learn to appreciate the simple, sacred beauty of the world around you (natural and human), they you can be enthusiastic about life. That enthusiasm goes a long way to healing you and it can be considered to be the result of healing. Fire is what gets you up in the morning because you love your life and want to live it. It is the heat in relationships that makes you want to interact with other people. Yet it is earth that moderates that heat so you don’t become too aggressive. In this way the elements balance each other and the job of the healer is to find out which element is too strong or too weak. It is the balance that leads to health. Fire gets you involved in practices like Tai-chi because you appreciate the beauty of the teaching. In this way it transforms you as fire transforms metal ore. Fire is the movement of the exercises, like the dancing flames of the campfire or fireplace. Fire is the energy flowing through your body when you release the blockages to the flow of chi or when you let go of sorrow. When your muscles let go of their tension through Tai-chi Massage, you feel energy flowing through your body. While you feel very relaxed, you also feel cleansed and energized. Fire has burned up the fear stored in the muscles and released the energy. Water connects. It is love and compassion. It is the end of the feeling of isolation so that your spirit can “enter the world” and become part of it. Yet it is balanced with earth, which establishes clear distinctions and boundaries, so that we don’t lose our individual identity. In any relationship there is the fear of losing oneself, yet the desire to lose oneself in the relationship. The balance of water and earth allows both to happen. Water cleanses. When you release sorrow or physical tension and feel a rush of energy through your body, the element of water then cleans out the debris (like tears cleaning out sorrow). The body is mostly made of water. The lymph cleans out lactic acid and carbon dioxide from cellular metabolism. The intercellular fluid transfers nutrients and oxygen from the blood vessels to the cells. Yet these fluids have no pump other than the movements of the body. Each muscle of the body must be used, in fluid movement, in order to move the lymph and intercellular fluid. Otherwise the nutrients and oxygen won’t get to the cells to be metabolized and the cells will be bathed in waste. Your food will wind up as fat and you will be tired because your cells are not metabolizing well. Water conforms to the shape of the container. It is what allows us to be “invisible” during push hands or fighting because we flow with the movements of our partner. It is the principle of not opposing force but flowing around it to continue to come in and accomplish our task. Water is strategy as it is so adaptable. It allows us to “shed” our fixed patterns and become more creative. This is called “shape shifting” in some cultures. We identify more with our creativity than with our fixed patterns of behavior and thought. This is just a hint of the levels of meaning of the elements, their interactions and use in Chinese Traditional Medical Theory. It is a holistic approach in that it considers the body, mind and spirit and the relationship of all aspects of our lives. Each element is associated with a season, a direction, a color, an organ-system, etc. And so you can discuss the elements in diagnosing an ailment as well as in how you live your life. It is a set of principles based on balance that is useful in every aspect of your life. The way that most people start to learn this system is through Tai-chi practice. The teacher explains how the elements are used to explain aspects of the movements of your Tai-chi form, chi-gung exercises, push hands, massage and, if you go further, the self defense. This training strengthens each individual from the inside out. It strengthens not only their bodies but their lives as well, allowing them to live full, productive, long and fulfilling lives. My mother always wanted to be independent. She lived nearby in an apartment and called my brother and me each day so we could sure she was all right. At about 85 years old, she started falling a lot. Luckily she never broke any bones, but she usually fell in a way that she couldn’t reach the life alert button hanging around her neck. As she got weaker, she made the painful decision to move to a nearby nursing home; one our family could visit regularly. I also began to adapt a system of chi-gung exercises for her to practice, one known as “animal exercises” or what I now call, “zookinesis”. But I didn’t have enough time before her death to bring back her strength and health. I continued adapting these exercises for the chair to provide for other elderly people to regain their strength and health, producing instructional dvds and teaching in senior centers and nursing homes. When I first begin teaching a group of seniors, at first they are not sure what to think and just a few participate. Within a couple of month all are participating and soon they ask me to upgrade the level of the exercises. It always amazes me how quickly seniors take to the zookinesis exercises and enjoy them. As I teach I always think of my mother who first inspired me to teach exercise to seniors and now I myself am entering that phase of life. I hope the seniors of today have greater expectations of their continued abilities and demand to have exercise as a vital part of their nursing home programs. It is as important medicine as drugs, and I feel perhaps more important because if seniors can remain healthy, they might need a lot less drugs than they take today. My doctor told me that almost all seniors nowadays take drugs for various ailments. He is surprised that I don’t take any. For me, zookinesis is my substitute for drugs. Basically it is just moving every part of the body in every way to get the “juices” flowing.